Born in the beginning of the new century, the Forum on China-Africa Cooperation (FOCAC) is an important platform of dialogue between the two sides under the framework of South-South cooperation. In the past 18 years, the forum, as a booster driving up rapid and sustainable China-Africa cooperation, has been providing long-lasting and energetic impetus to the healthy development of bilateral relations. The eight measures released at the FOCAC Beijing Summit in 2006, and the 10 major cooperation plans announced at the FOCAC Johannesburg Summit in 2015, have particularly accelerated economic and trade development between China and Africa. In this context, Chinese private enterprise owners should be well aware of the growing importance and ongoing trend of China-Africa relations, so that they can participate in China-Africa cooperation in various fields in a more active way. 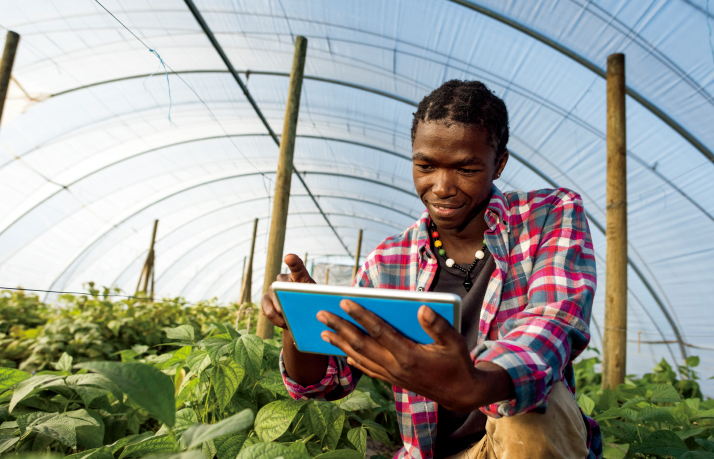 Entering the 21st century, African countries have been promoting industrialization. During the process, they increasingly regard industrial parks as an important model to attract foreign investment and boost industrialization. As the economic and trade ties between China and Africa deepened, the main participants in the field of economic cooperation have changed, with more and more Chinese private companies coming to the fore with a flexible and pragmatic approach. According to the 2016 Statistical Bulletin of China's Outward Foreign Direct Investment released in October 2017 by the Ministry of Commerce, National Bureau of Statistics and State Administration of Foreign Exchange, China had 3,254 enterprises with investment in Africa. But the report, Dance of the Lions and Dragons, released by Mckinsey & Co. in June 2017, suggests that there were more than 10,000 Chinese-owned firms operating in Africa. The big gap between the two figures mostly lies in the fact that many Chinese private enterprises did not register with local commerce authorities before launching their projects in Africa. The McKinsey report notes that around 90 percent of the Chinese companies are privately owned. These companies of varying sizes and multiple businesses are mostly profitable. On the one hand, Chinese private companies in different sectors have formed a complete industrial system, and their investment in Africa constitutes a part of the global industrial chain; on the other hand, Africa has formed a sizeable consumer market with a continent of 30.29-million square km and 1.2 billion in total population. In addition, African countries are willing and have the conditions to conduct industrial capacity cooperation with China. Chinese industrial parks in Africa, mainly participated in by Chinese private companies, have been growing rapidly. Statistics show that there are about 100 cooperation zones and industrial parks set up with Chinese investment in Africa. More than 20 industrial parks with sizeable investment have absorbed nearly 400 enterprises with combined investment of about $5 billion and gross output value of $13 billion. The Eastern Industry Zone in Ethiopia, China-Egypt Suez Economic and Trade Cooperation Zone and Lekki Free Zone in Nigeria each has attracted more than 50 enterprises, and these big three are playing important roles in local economic development and industrialization and will be the important carrier of bilateral industrial capacity cooperation in the future. The cooperation model based on industrial parks is also in line with the strategic goals of China's Belt and Road Initiative and African Union (AU) Agenda 2063 and can be immensely beneficial to China and African countries. Good development concepts usually lead to good development orientations and results. In recent years, private Chinese enterprises develop stably in African countries, mainly because of their right development concepts. First, the concept of protracted development. After FOCAC was established in 2000, more and more Chinese entrepreneurs with investment in Africa changed their development concept of short-term and one-off investment and cooperation. They hope to have stable and long-lasting development and cooperation in Africa for long-term returns. 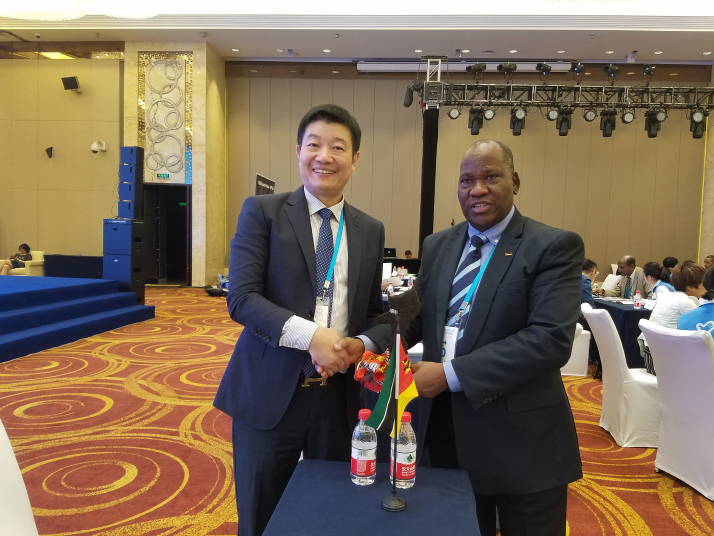 According to Yin Yiqiao, head of Hubei Chamber of Commerce in Africa, to achieve success in Africa, companies should focus on long-term returns, instead of seeking only short-term interests. In March 1997, Yin, then a teacher at Wuhan University of Technology of Hubei Province, visited Madagascar on business and found ample opportunities in the island nation. He decided to stay there and established his Future Development Corp. Ltd. with a friend, mainly engaging in manufacturing aluminum alloy doors and windows, and trade in construction material. He started out with a small operation and limited staff complement, relying on the low material prices in China and the use of advanced technology, management skills and a localization strategy. The company quickly grew into the largest enterprise in aluminum alloy door and window processing in Madagascar. Currently, it has expanded to several other African countries including Kenya, Uganda, Republic of the Congo and Mozambique. Yin's experience shows that having a long-term strategy can help make a Chinese private company successful in Africa. Yin said that he will copy the development mode of his Future Development Corp. into more African countries, so that he can provide the best products and best services on the continent. Second, the concept of cluster-based operation. As the African proverb goes, you can go faster alone but farther together with others. To invest in Africa, Chinese private companies need to go together. It can help Chinese private enterprises run better when they operate in Chinese industrial parks in Africa. Industrial parks can provide better industrial prospects. Each Chinese industrial park in Africa was established based on in-depth market investigation and research. These parks were designed to meet the market demands and development strategies of the corresponding countries. This can help investors make the correct decision. In addition, these industrial parks often enjoy preferential investment policies granted by the host countries, as they can help them achieve industrialization, provide jobs for local people and increase government tax revenue. More importantly, industrial parks have complete industrial supportive facilities, which can help companies control costs and raise efficiency. Industrial parks can also provide easy investment procedures. For most Chinese private company owners, they are not quite familiar with overseas markets nor do they have enough international investment experience. Moreover, it usually takes a long time to go through local investment procedures. In this regard, they can get help from the industrial parks in Africa. These parks can also provide one-stop services for investors, capable of helping them solve economic and trade cooperation disputes and seek consular protection. Third, the concept of localization. Localization is an important criterion measuring whether a company has a long-term strategy in the country it invests in, as well as an important factor evaluating a company's contribution to local society. In some African countries, localization is a legal requirement for foreign investment. For instance, Zimbabwe passed the Indigenization and Economic Empowerment Act in 2007 to eliminate the influence of colonialism, protect national resources and safeguard economic sovereignty. Hence, more and more Chinese companies have changed their minds of seeking only short-term interests; instead, they embrace localization strategies to develop mutually-beneficial and win-win cooperation. While investing in Africa, most Chinese enterprises are attaching great importance to reaping both economic and social benefits. For instance, Chinese shoemaker Huajian Group in Ethiopia has given top priority to its localization policy. Of the more than 6,000 company employees, Chinese staff number only 160. Every year it sends 50 African employees to Huajian headquarters in Dongguan of south China's Guangdong Province for a six-month training program. And according to the group's plan, the Huajian International Light Industry Park will, upon its completion in 2020, produce more than 60 percent of the shoes, garments and bags made in Ethiopia, and offer 30,000-50,000 job opportunities. The forthcoming FOCAC Beijing Summit will present new opportunities for China-Africa cooperation. According to Dai Bing, Secretary General of the FOCAC Chinese Follow-up Committee and Director General of the Department of African Affairs of the Ministry of Foreign Affairs, promoting China-Africa economic and trade transformation and upgrading is one of the five goals of the summit. He also noted that China-Africa cooperation is transforming from being guided by the governments to being oriented by the market, upgrading from commodity trade to industrial capacity cooperation, and moving from engineering contracting to project investment and operation. As a member of an organization actively promoting Chinese private enterprises' participation in China-Africa cooperation, I have high expectations of the summit. The Chinese and African leaders should make more pioneering effort in designing further pragmatic measures for China-Africa cooperation. China should adopt more policies such as promoting renminbi (Chinese currency) settlement in China-Africa trade to effectively support cooperation between medium, small and micro-sized Chinese enterprises and their African counterparts. On the other hand, African countries can also continue their "Look East" policy, with a view to drawing Chinese capital and technologies with a more transparent, favorable and clean investment environment. China-Africa cooperation should be in line with the AU Agenda 2063, the 10 major China-Africa cooperation plans and the construction of continental high-speed railway, highway and aviation networks and industrialization, and constantly improve the quality of Chinese commodity exports to Africa. Chinese companies' investment should also be guided by the goals of the FOCAC Beijing Summit; they should strengthen infrastructure cooperation based on the Belt and Road Initiative, vigorously promote industrial capacity cooperation in various sectors, and push forward industrialization and agricultural modernization in Africa.